Reading gets me through the long month of January. Have any reading goals for 2019? I’m going to read 50 books this year (Lord willing and the river don’t rise). I’ll be keeping track in a leather journal and on Goodreads (why I keep both, I’m not sure). If you’re not on Goodreads, I highly recommend it. It’s easy to navigate and is somewhat like an accountability buddy. Once you finish one book, it sends you an email that says, Congratulations, what’s next? Me and my personality eat up this type of thing. Save the Cat by Blake Snyder. Even if you’re not writing a screenplay, this a a worthy read for any writer. And who knows, you might be so inspired you become the next Matt Damon/Ben Affleck (of Goodwill Hunting) powerhouse. Front Desk by Kelly Yang recently won the Asian/Pacific American Award for Children’s Literature – a very prestigious honor! If you like well-written middle grade with a smart and problem-solving protagonist, pick this one up. It’s great! The Book of Mormon, Another Testament of Jesus Christ. Following an invitation to finish this by the end of the year in 2018, I was a little late and finished in January. I love this book. You can see it’s worn from all the years of reading, marking up, moving, and handling. If you’re interested in religion, Jesus Christ, prophets, and history (think A LOT of bloody wars), here you go. This book has power; it’s changed my life. Dream Work by Mary Oliver. Oh Mary, I love her so. If you haven’t read the poetry of Mary Oliver, you simply must. In honor of her recent passing, I had to check this out. What a collection! A great NPR tribute HERE. And now my friends, what ARE you going to do with your one wild and precious life? Does it include reading? This entry was posted in Book Club, Book Review, Books, live better, poetry on January 31, 2019 by maisymak. 1. 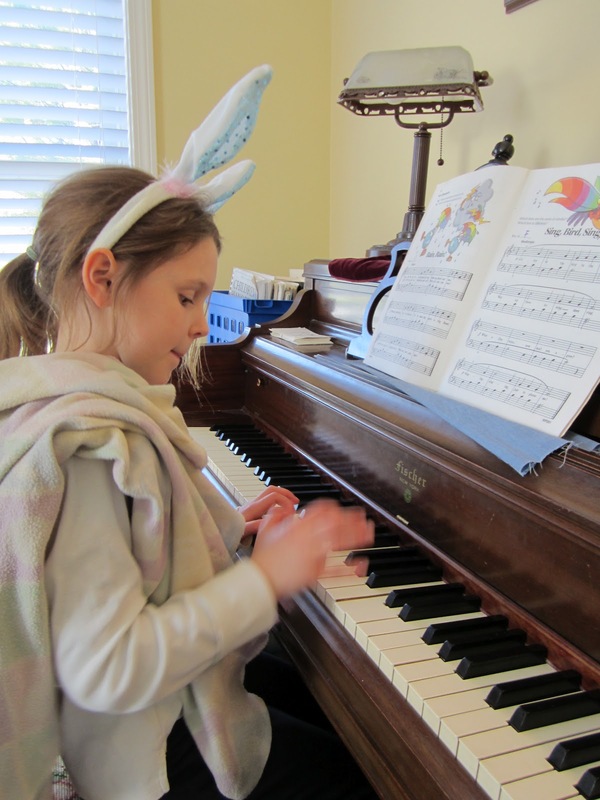 I like when my children sit down at the piano with bunny ears on. Or a sideways scout hat with sunglasses on. It makes me laugh. I also like that they are playing the piano. My sweet eldest has been passed on to a different teacher for the spring because it’s just better that way for awhile. For both of us. 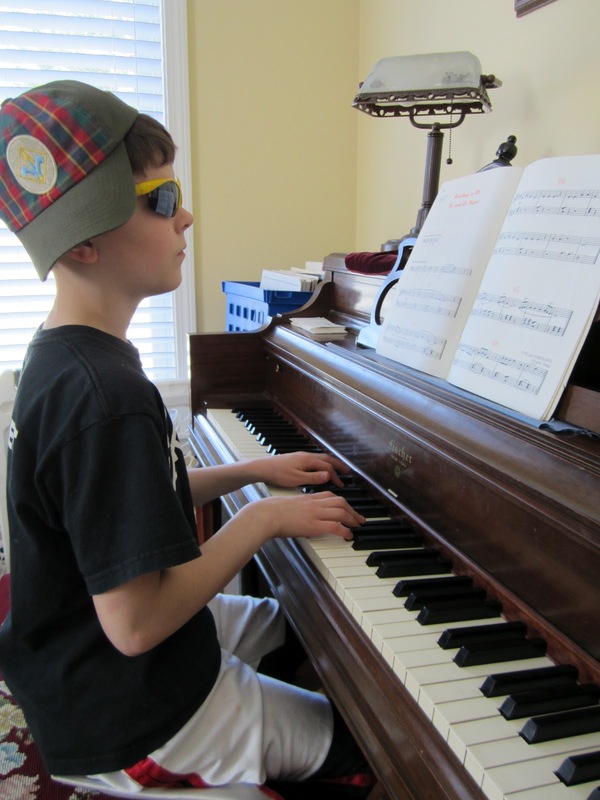 It also makes me happy that I only have to start ONE more child at the piano. 2. I like Ann Romney and I like Michelle Obama. They’re both great, strong ladies who love their children and this country. My ears turn deaf to the Mommy wars…yawn. Women, please stop using stupid and devisive phrases and words to make yourself feel better. Devisive is an adjective: tending to cause disagreement or hostility between people. I apologize if I’ve said stupid or devisive things. I suppose it’s a casualty of being human. 3. 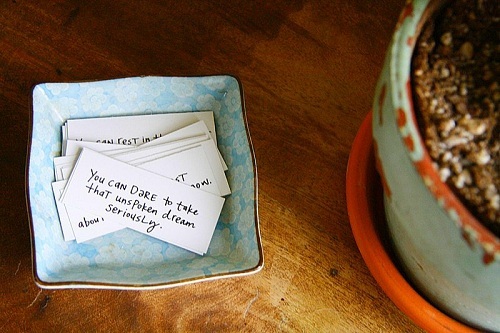 I love this quote in Kelly Rae Roberts’s house, (photo courtesy of kellyraeroberts.com) featured on design mom this week. I have a feeling that if I picked out pieces that didn’t match, they would just look like pieces that didn’t match. I like that I don’t feel badly looking at other people’s homes anymore. We all spend our time doing different and (hopefully!) worthwhile things. 4. Like running. I really like running. I like Barbara and Edna and Grandpa in the kitchen at Proctor because while Gregor drives the kids to school, I run to Proctor, where he works. But he arrives sooner than I do and sometimes has to get to early meetings. So every day Paige runs into the kitchen to see her friends who are all at least 40 years older than her. Even though they are very busy, they give her scrambled eggs and orange juice, teach her to peel carrots, make bread, create great works of art, and today taught her how to blow a bubble with her bubble gum. They are so nice to her. Paige cries when I run at a different time or don’t feel like going out, because she loves her Barbara and Edna and Grandpa so much. Sometimes she’s only with them for 15 minutes but it is a huge help to me. Simple. So kind. 5. And since it’s National Poetry Month, I will share a poem I now adore. And I only heard it last night when a little, almost-10-year-old girl, got up and faced a very large audience. She reminded me of Scout from my very favorite Mockingbird book. Her voice was clear and bright as she recited. I wanted to capture the words in a bottle. I wished I were a poet. I must now discover the poet laureate, Billy Collins. a disfiguring chicken pox of the soul. and the beautiful complexity introduced by two. But I can lie on my bed and remember every digit. At four I was an Arabian wizard. by drinking a glass of milk a certain way. At seven I was a soldier, at nine a prince. watching the late afternoon light. all the dark blue speed drained out of it. as I walk through the universe in my sneakers. time to turn the first big number. there was nothing under my skin but light. If you cut me I could shine. I skin my knees. I bleed. This entry was posted in kids, poetry, ramble on April 13, 2012 by maisymak.